What type of paint should I use to paint a mural? What other materials do I need to paint a mural? How do I prepare a wall before painting a mural on it? What are some mural painting techniques? How do I finish or seal the mural? When you paint a mural, you'll have two distinct stages of painting, just as when you paint on canvas: first you'll create an underpainting to block in main areas of color and outline the general composition, and then you'll paint in the detail. To paint large blocks of color (such as a stretch of blue sky, green hills, etc), use interior household paint, also known as latex paint. This is the kind of paint you would normally paint walls with. Painting large blocks of color with latex paint is more economical than trying to cover the entire wall with the artist quality acrylics that you buy from art supply stores. You will get better coverage from interior household paint and save yourself a ton of money in the meantime as you learn how to paint a mural. Interior household paint comes in four different sheens: flat, eggshell, satin and semi-gloss. An eggshell sheen works best for mural. Steer away from satin or semi-gloss sheens, because they will be too shiny. The flat sheen is also not the best choice because it cannot be scrubbed. Eggshell, however, is just right, because it can be cleaned and it can safely accept layers of paint on top of it. To tackle the detailed work on your mural, use your tubes and jars of artist-quality acrylics and proceed just as if you were painting on canvas. Most brands of acrylics will work well for indoor mural painting, but the most highly recommended brand is Liquitex Soft Body Acrylics (this links to Blick Art Materials, and if you make a purchase I get a small commission that helps support this site), although Liquitex Heavy Body paints are good too. Liquitex Soft Body Acrylics adhere well to walls made of concrete, plaster or cement, due to the chemical alkalinity of the paints. If you're learning how to paint a mural, using the best brands will result in a better outcome. You'll need a variety of paintbrushes, from small to wide. The sizes you'll need largely depend on the amount of detail you'll be painting. 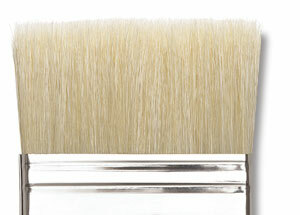 For covering large areas with paint, pick up some wide brushes. Get at least a 1", 2" and 3" wide brush. 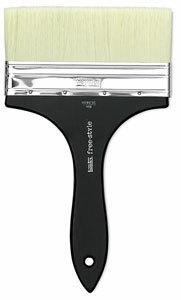 You can purchase an even wider brush, such as a 4", if you have a lot of space you want to fill in quickly with a single color. For smaller detailed areas, use an array of round brushes in different sizes. 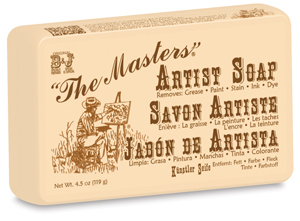 You can use the same paintbrushes you use when easel-painting. After you learn how to paint a mural for the first time, you'll have a better understanding of the brush sizes you'll need in the future. Liquitex Ultra Matte Gel or Matte Gel Medium - These two products are optional, but they are handy because they can help extend the coverage you can get with your Liquitex Acrylic paints. Mix your acrylic paint with an equal amount of either Ultra Matte Gel or Matte Gel Medium to double your paint coverage. This technique is advisable for underpaintings only. 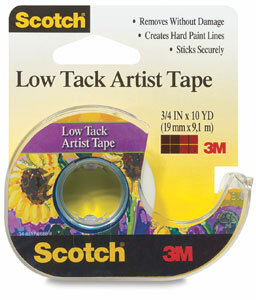 For the detailed top layers, use for acrylics without these extenders. Just as you would prime a canvas before painting on it, you should prime a wall before painting a mural. The primer will create a smooth, even surface that will readily accept acrylic paint. If you are going to cover really wide areas with a single color, consider pouring your paint into a paint tray and using a roller to apply the paint to the wall. This will save you a lot of time as you learn how to paint a mural, because rolling on paint is a lot quicker than brushing the paint on with a paintbrush. 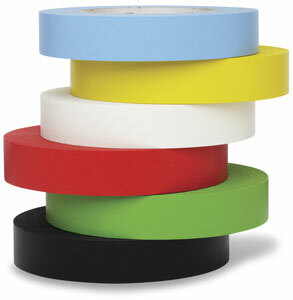 You'll need tape for adhering a protective covering on the floor. 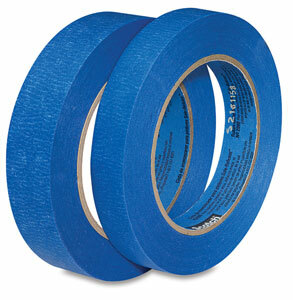 The best tape to use is a painters' tape, because it will be easy to remove and it will not leave behind a residue on the baseboard. Once you're ready to paint in the details, you'll need a palette upon which to mix your paints and do your color-mixing. Spread newspaper or a plastic tarp all over the floor where you will be painting, and use the painters' tape to secure the newspaper or tarp to the bottom edge of the baseboard. This will ensure that the protective covering doesn't move or slip as you walk on it. As you learn how to paint a mural, you'll discover that painting walls is messy! Be sure to dress appropriately or wear the proper protection! 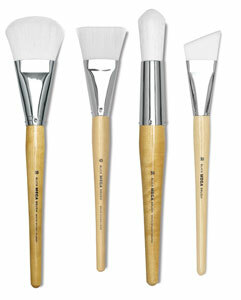 You'll need a sturdy cup to hold the water that you'll dip your brushes into for rinsing and cleaning. Be careful to keep the water in a place where you won't easily bump into it and spill it. Here's an important tip for people learning how to paint a mural: In addition to water for your brushes, a separate bottle of clean water is handy to keep on standby. That way if you accidentally spill paint onto the carpet, you can get to it right away with clean water. Paper towels and old rags are essential for cleaning up sudden spills and messy accidents. For reaching the high parts of the wall. You'll need cleaning supplies for your brushes. 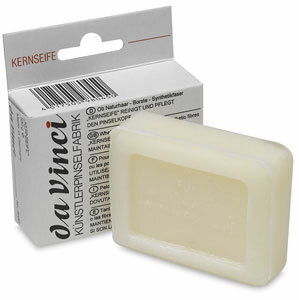 When painting with acrylics, brush soap will usually suffice. To clean the wide brushes you might have used to apply latex household paint to the wall, you can use regular dishwashing soap. Now that you have all the supplies needed for painting a mural, you are ready to learn how to prepare the wall before painting - the next step in learning how to paint a mural!